Dr Julian Painter finds his work truly gratifying. “It is a privilege to meet so many lovely people and help them achieve healthy, beautiful smiles.” To keep abreast of the latest in dentistry, he takes professional development courses on restorative work and other areas of dentistry. His primary interest is in using the latest ceramic materials as long-term replacements for silver (amalgam) fillings. He also stays active professionally as a member of the Australian Dental Association. 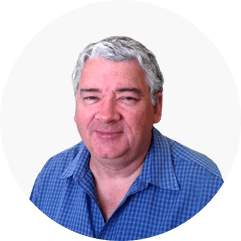 When he is not at the practice, Dr Julian Painter loves astronomy and enjoys spending time with his family, reading, playing chess, watching cricket, and studying classical Greek. He serves as president of the Astronomical Society of South Australia.